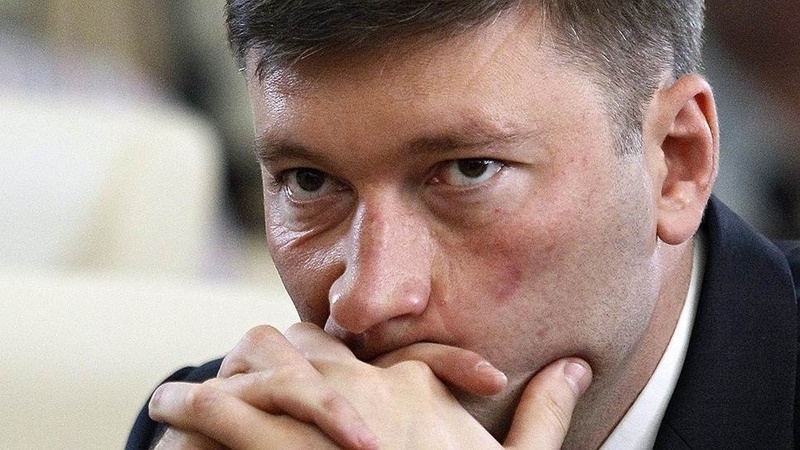 The occupiers’ accomplice appeared in court himself, previously the court had ordered Sergey Aksyonov to deliver the absentee-witness for questioning. The Chairman of the Kremlin-controlled Crimean State Committee on interethnic relations and deported citizens of the annexed Crimea Zaur Smirnov, a former member of the Mejlis of the Crimean Tatar People was questioned as a witness in Akhtem Chiyhoz case in the "Supreme Court" of the occupied Crimea, on 27 June. Lawyer Nikolai Polozov wrote about the court proceedings in his Facebook. According to Polozov on June 28 at the beginning of the court session, the defense asked to summon witnesses for interrogation. The court granted the first request to summon the "Chairman of the State Council of Crimea" Vladimir Konstantinov. The second request on the questioning of Mufti Emiral Ablaev was dismissed by the court. The court also once again refused to deliver Akhtem Chiyhoz to the courtroom. After that the court started the questioning of witness Smirnov. He immediately reported that as Deputy Chairman he had been charged with responsibilities on interacting with regional and local Mejlises, as well as with authorities. And Akhtem Chiyhoz did not have the authority by decision of the Mejlis, however, according to the witness, by some kind of verbal agreement Akhtem Chiyhoz had to organize mass events. During the court proceedings Smirnov told about the meeting of the Mejlis on February 25, 2014, where, according to Smirnov, the Chairman of the Mejlis of the Crimean Tatar People Refat Chubarov, had announced the rally "to counter the session of the Verkhovna Rada of the Crimea" to be held another day. The witness found it difficult to recall exactly all people who had attended that meeting. But according to the witness the meeting was open and members of the regional Mejlis were present. Akhtem Chiyhoz seemed to attend this meeting also, according to the witness. Witness Smirnov testified that he was the only who had objected to Chubarov, explaining the inadvisability of holding the event at the parliament with the danger of clashes. As an example, he cited the events at the Crimean Parliament in 1995 (in fact, in 1992, – Polozov explained). However, he could not call other significant events with the participation of the Crimean Tatars for 20 years. Smirnov also said that the decision to hold the rally had been taken by Chubarov alone, there had not been vote. According to Zaur Smirnov, he did not notice either armature or any weapons in rally participants’ hands. After the beginning of the rally he along with Chubarov entered the Rada building and watched on the monitors in the hall what was happening in the street. The interrogation of Zaur Smirnov was not completed. It will last during the court session on June 28.